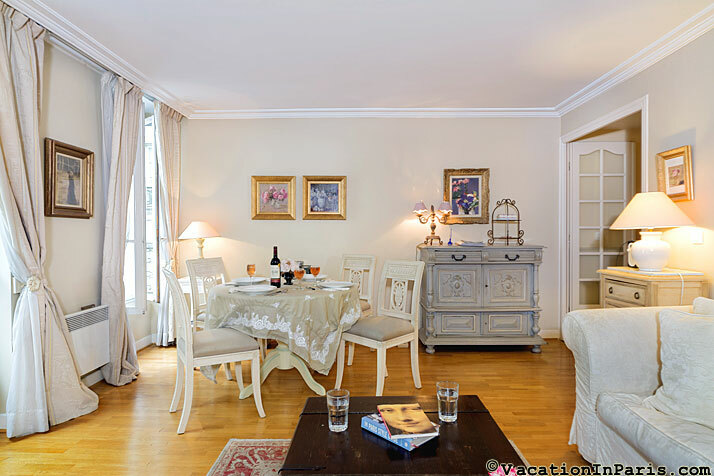 Perfect in every way, this apartment and neighborhood will not fail to live up to your expectations of everything you hoped Paris would be and so much more. 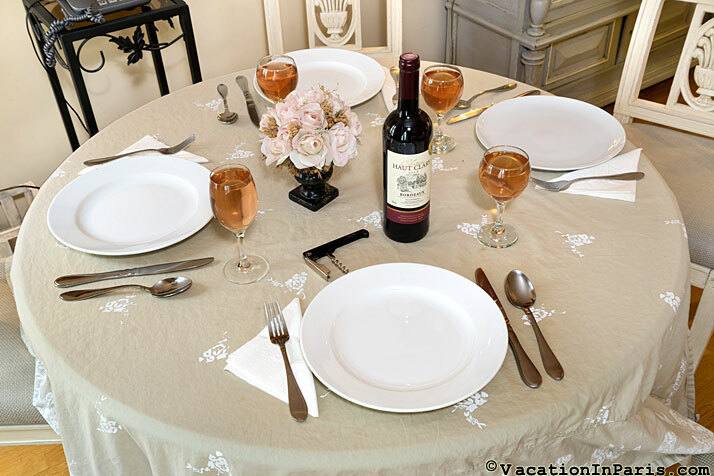 Absolutely perfect for two guests! 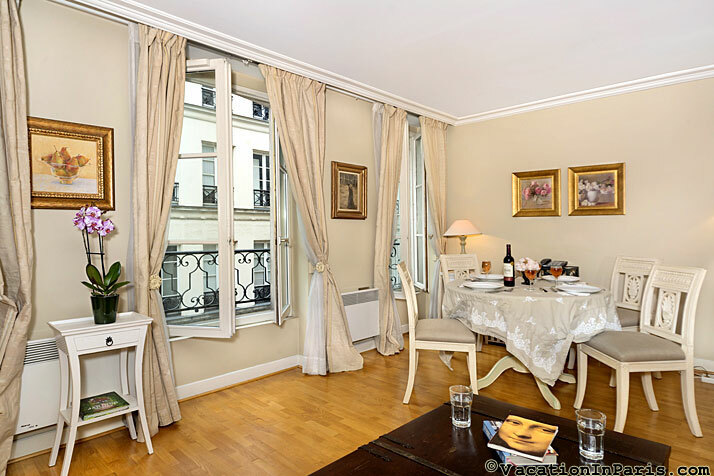 This apartment is situated in one of Paris’ most desirable areas of the Left Bank. 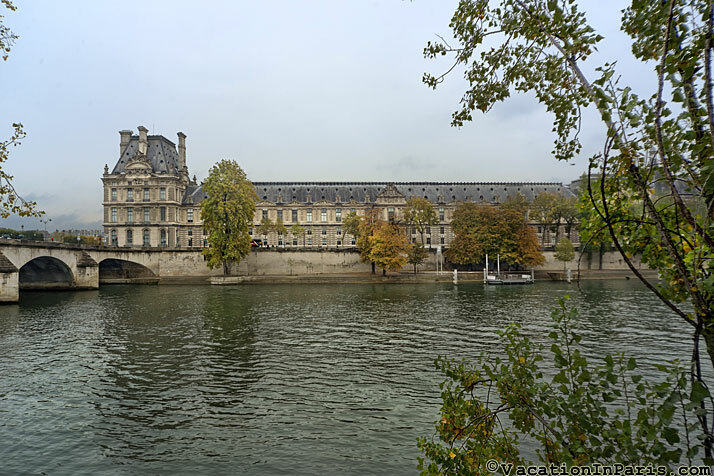 Located between Boulevard Saint Germain and the Seine, it is sometimes referred to as the Carré Rive Gauche. The area is steeped in history and culture. 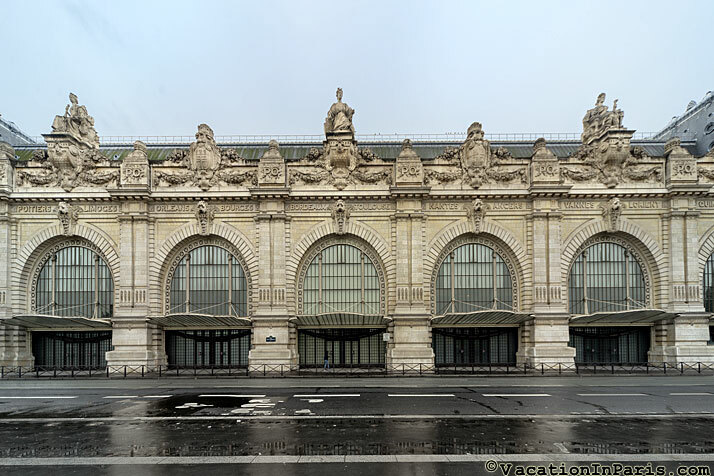 Step out the door of the apartment and walk to the Louvre, the Musée d’Orsay, or Les Deux Magots café in just minutes. 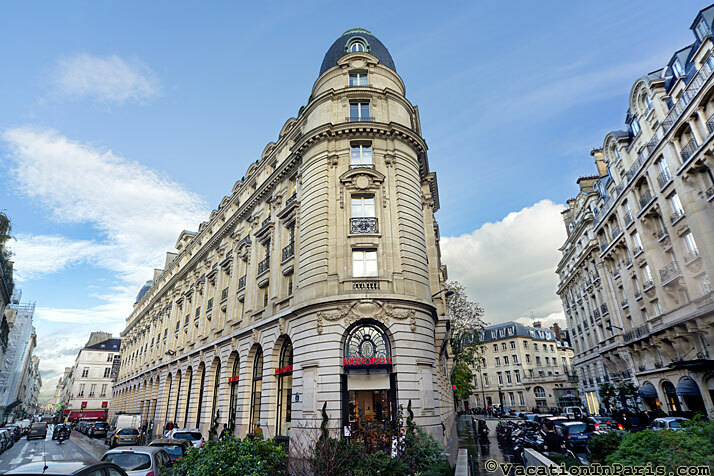 It's located on a quiet street which embodies all the romance and beauty one thinks of when thinking of Paris – narrow streets, elegant shops and galleries, gourmet dining, and fashionable people. Even the lampposts are exquisitely beautiful in the evening glow. 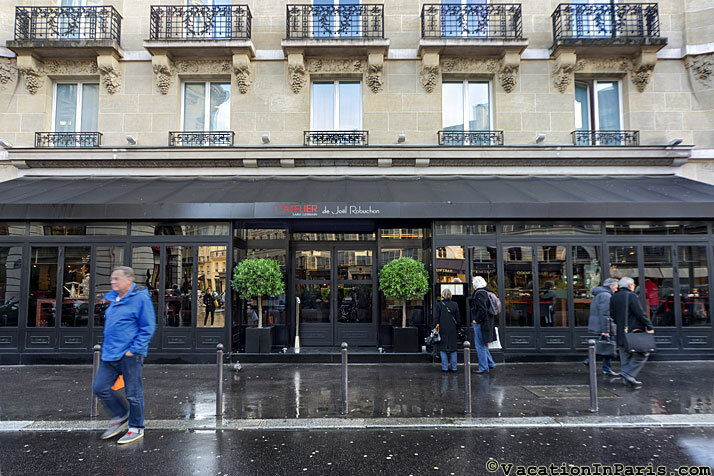 You will find the renowned chef Joel Reblochon’s restaurant and great pastry maker Eric Kayser’s shop nearby. 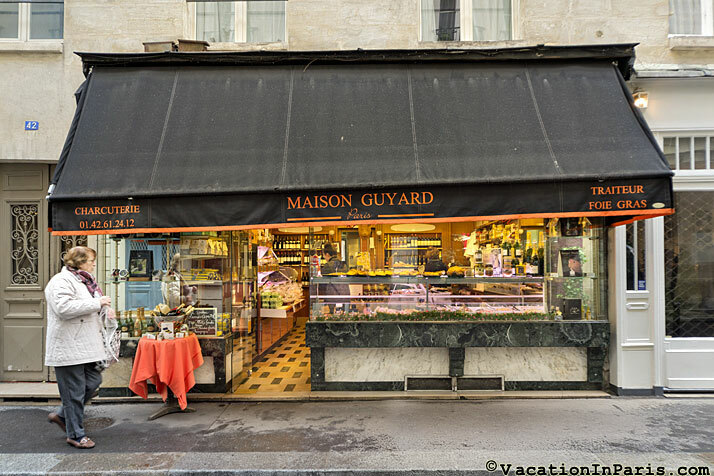 Also in your neighborhood here are fresh cut flower shops, and one of the best cheese shops in all of Paris. 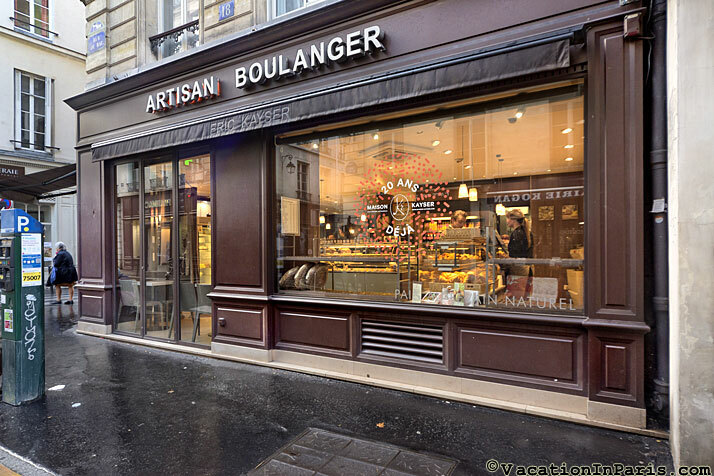 Delicious, freshly-made croissants are right outside your front door. 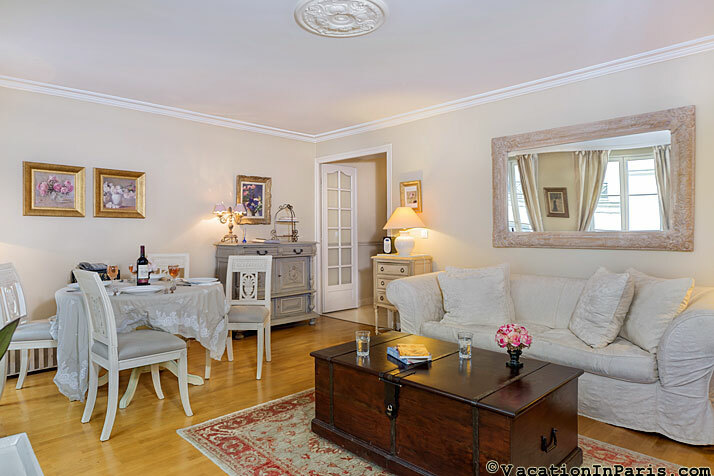 This charming apartment is in a small upscale building dating back to the 17th century. 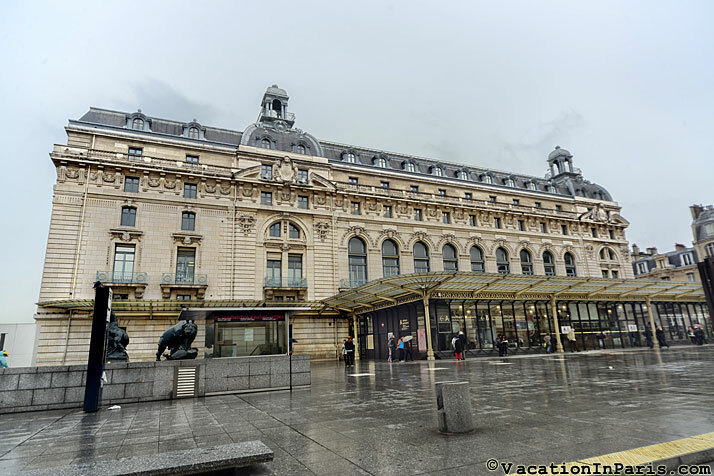 The building has been completely refurbished and includes a lovely marble entryway with exposed stone walls, and a new elevator. 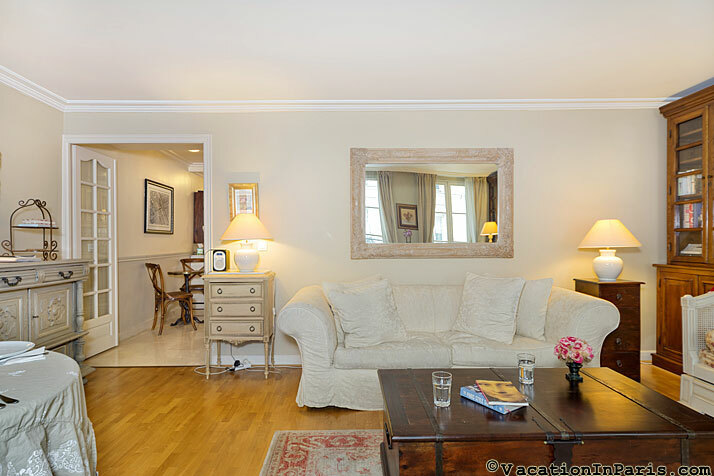 Attractive and extremely well maintained, the apartment is just the right size for two people to enjoy comfortably. 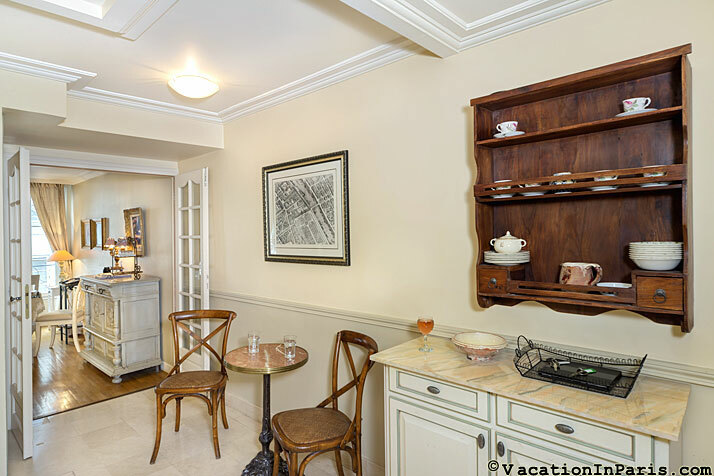 It’s decorated classically, with tasteful furnishings and artwork. The walls have been painted in soft and soothing earth tones such as muted olive green in the bedroom and beiges in the living room. 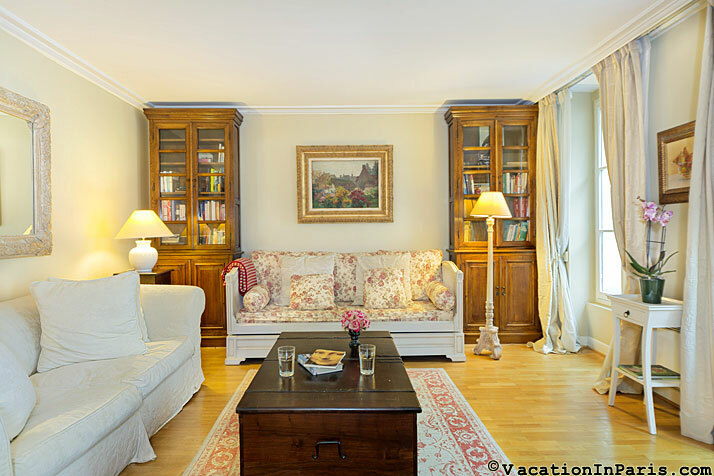 Several lamps provide the apartment with a quiet and peaceful lighting. 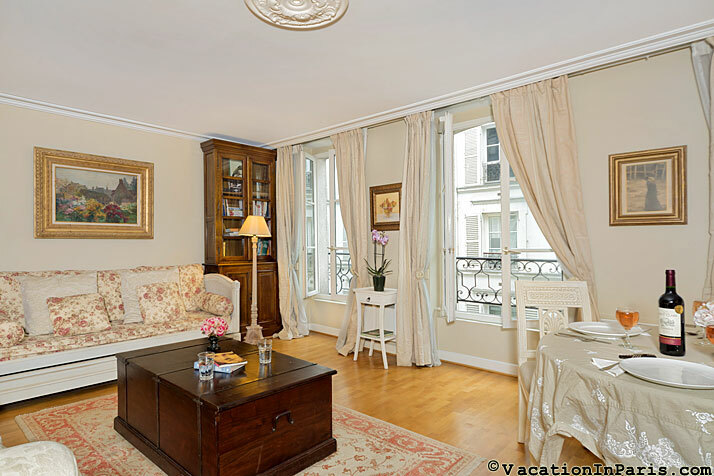 Parquet, marble floors, and elegant curtains give the apartment a timeless and luxurious feeling. Plush area rugs provide contrast and warmth. 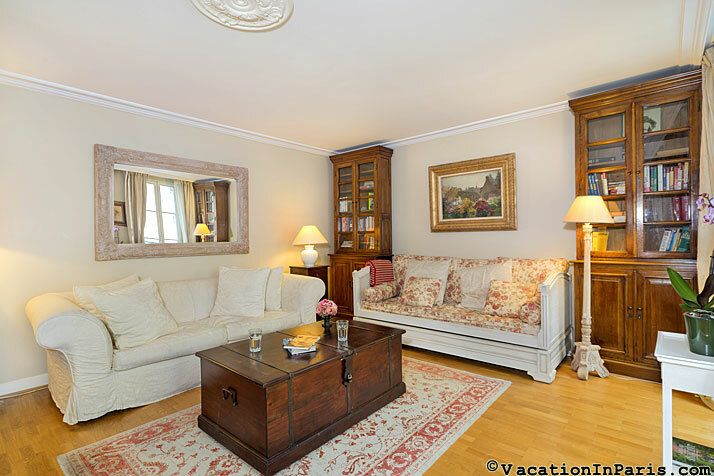 With two couches and a dining table with seating for four, the living room is a perfect space for relaxing after a day out. 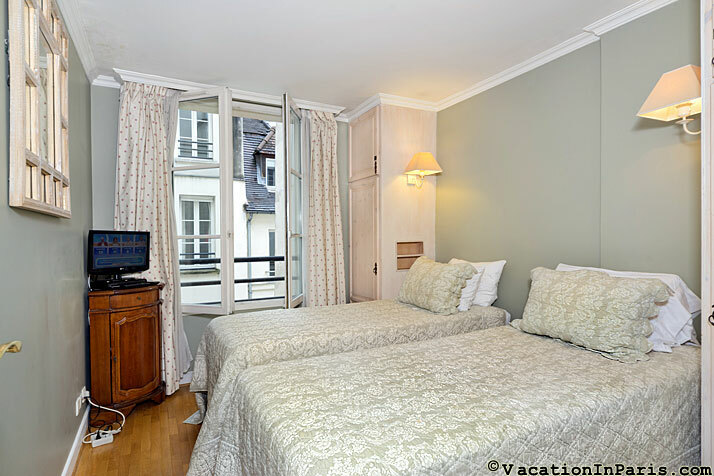 Three large French windows open out onto the picturesque street below. 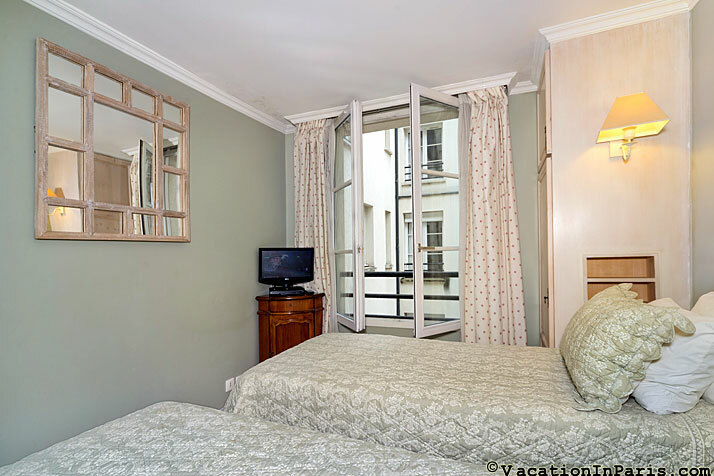 The bedroom, on the courtyard side, is extremely quiet, perfect for a good night’s sleep. High quality firm beds can be joined to make a king size bed or left as twins - please request at time of booking. In the corner of the room is a small TV to catch up on any news. 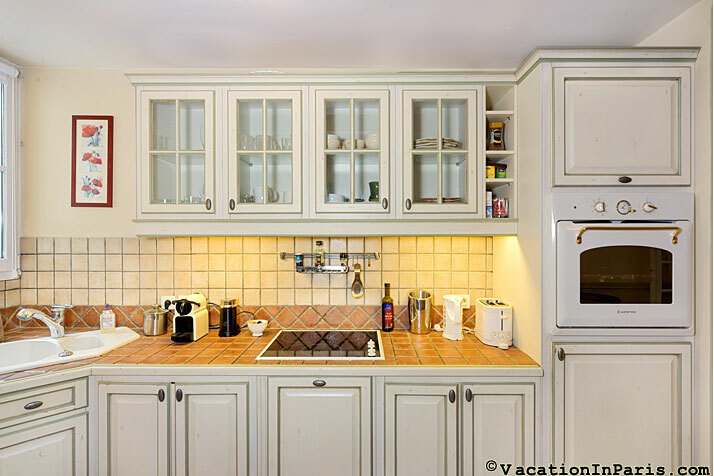 The kitchen is outfitted to meet all of your essential cooking needs, including a dishwasher, oven, stove, microwave, and a small bistro table for two. 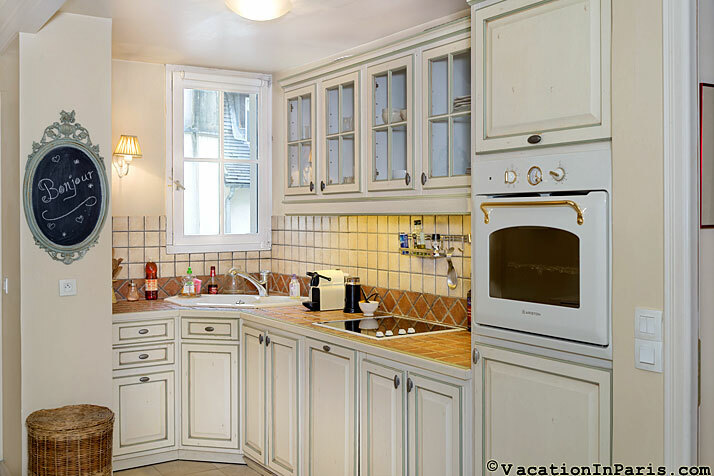 With a window overlooking the courtyard this kitchen an enjoyable space for preparing your meals. 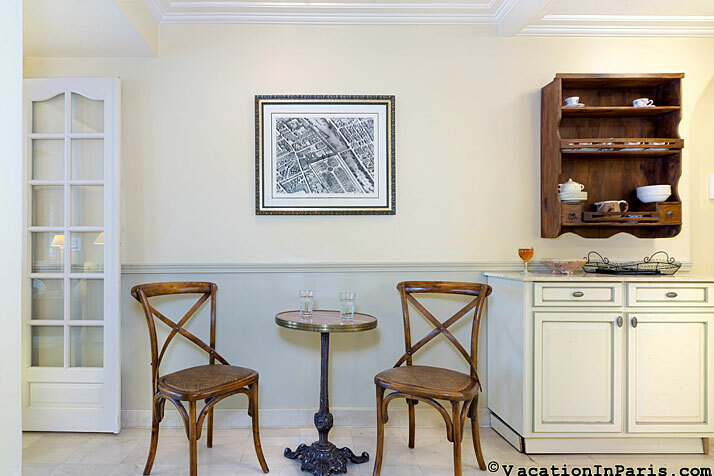 Study the centuries old map of the neighborhood as you share your morning croissants and cafe au lait at the breakfast table. 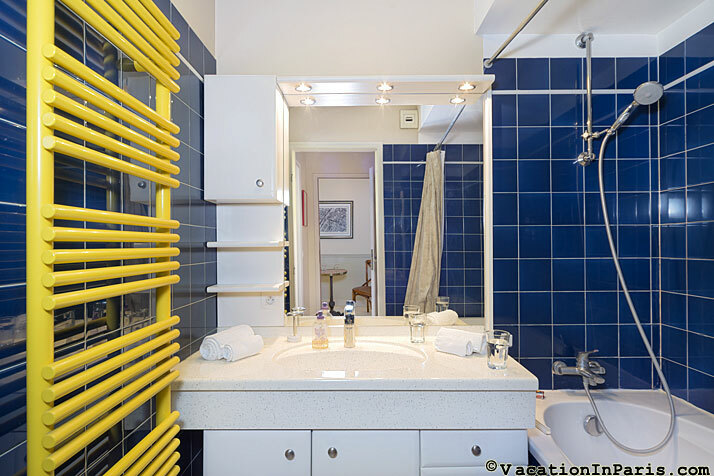 An added bonus is the separate clothes washer and dryer, a rare find in Paris! 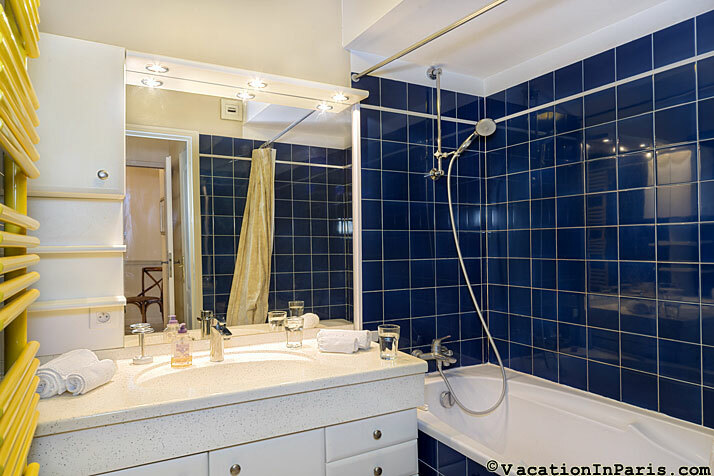 The bathroom is just around the corner, equipped with a bathtub and attached shower. 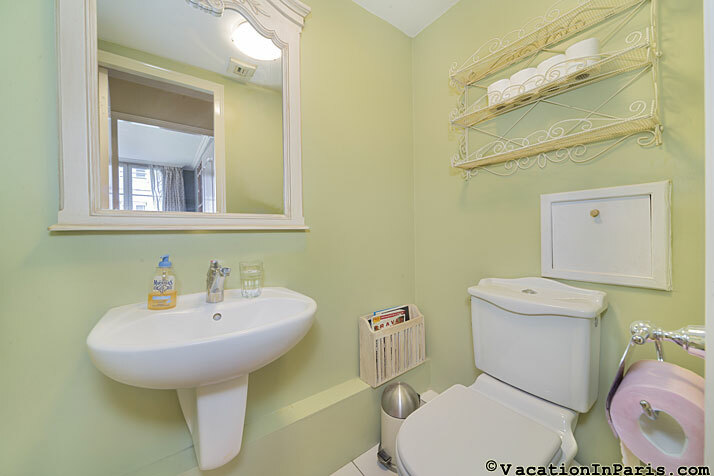 The separate WC is directly across from the bedroom. Each is easily accessible. 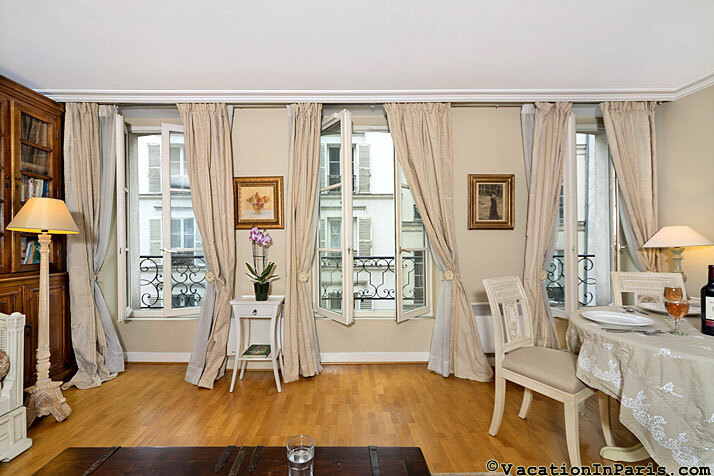 Perfect in every way, this apartment and neighborhood will not fail to live up to your expectations of everything you hoped Paris would be, and more. 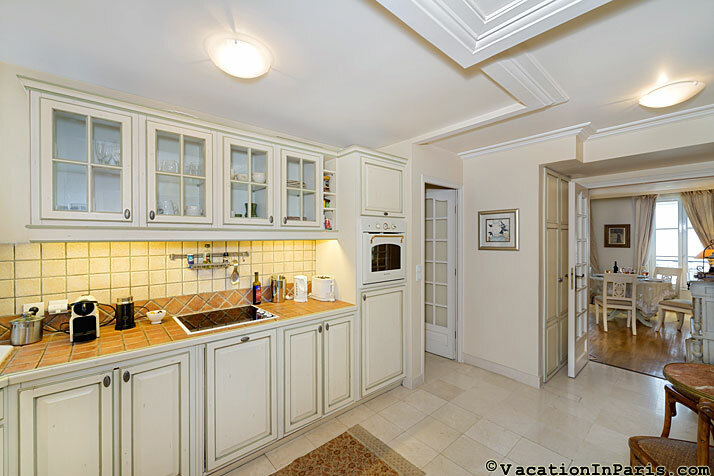 This apartment requires a "Meet and Greet" - guests will be met at the apartment and given keys at that time. Please note this apartment has a check-in time after 3pm.